"5 piece Print Portfolio including 'Polka Dots and Moonbeams'"
Daniel Johnston- Print Portfolio. Titled "Polka Dots & Moon Beams" includes 5 prints total, each print is 13"x16.5. 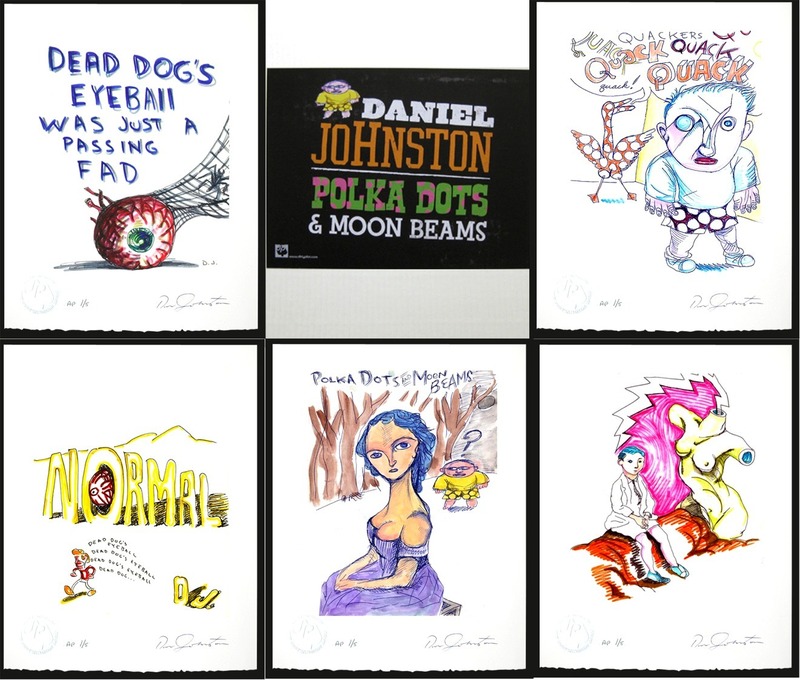 "Polka Dots & Moon Beams"
"Dead Dog's Eyeball Was Just A Passing Fad"
Quality archival PRINTS on oversized Moab 300gms fine art paper with a hand deckled edge. Each archival pigment print is from an edition of only 50 with matching numbers and each print hand signed in pencil by Daniel. Portfolio also comes in a bleached white corrugated folder with custom label. While each print sells for $100, they are available here only in a 5-print portfolio for $400.